Another week, another 20 links for Best of the Web over at The Fan website. This week's edition is very Pitt-heavy, with loads of links on all things Wannstedtian. We've also got Pirate hot stove rumors, a Steeler-Raven allegation, comparing Crosby and Ovechkin in 2010, The Legend of Shaun Suisham, and much, much more. Try, just try, to contain your excitement. It's never easy with this much Wanny. On that extra point, I absolutely positively thought the Ravens were going after Harrison and trying to either injure him or bait him into a fight. I have never seen an O-Lineman fire out on a PAT and it is just too much of a darn coincidence that James Harrison HAPPENED to be the guy they went after. must read on sid the kid. I don't believe he was trying to hurt Harrison. 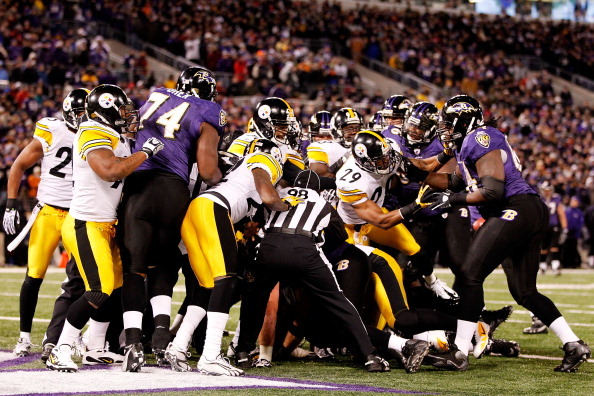 Remember, the Ravens know the rules, so that wouldn't happen. It was probably just an unfortunate leg spasm or something. I forgot, they "get it", they know the rules. That is why they are so shocked over being fined for blatantly breaking them! It is so hard to respect any other players/ coaches anymore. Haha, good point Steve. They would never dream of partaking in such acts! Harbaugh also told the fans on a recent radio show... '(paraphrasing cause i'm too lazy to look up the actual quote again) if you're not happy with this team, then go find another to root for cause you don't know anything about football" There, that ought to quell all this critism. Well done, sir! Wow, Letang isn't even on the all-star ballot? That's the most shocking thing i heard all day!! !